Hugin panorama stitcher 2019.0.0 was released today. 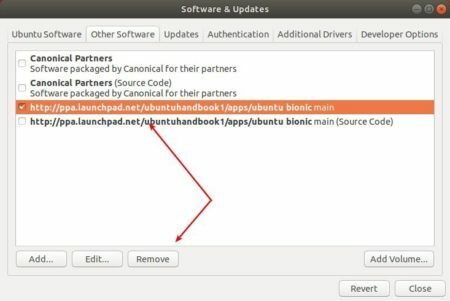 Here’s how to install it in Ubuntu 16.04, Ubuntu 18.04, Ubuntu 18.10, Ubuntu 19.04. Added raw import: It converts the RAW images to TIFF using a raw converter. Fixes for align_image_stack with EXR images. Added option for range compression. New hotkeys for mask editor (change zoom level with 0, 1 and 2). Expression parser can now read also all image variables. line_find: Ignore lines with low distance to each other to get better coverage. pano_modify: Added new switch --projection-parameter to set projection parameters. Store program settings according to XDG base dir specification (Linux only, needs wxWidgets >= 3.1.1). 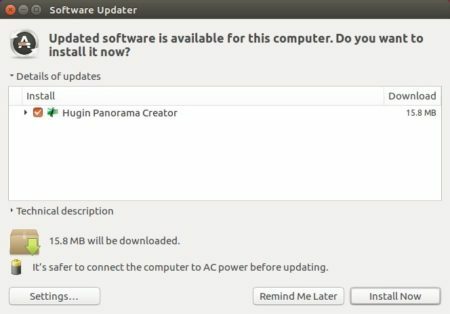 For all current Ubuntu releases, do following steps to install the panorama stitcher via an unofficial PPA. or upgrade it via Software Updater if a previous release was installed. To remove PPA, launch Software & Updates and navigate to ‘Other Software’ tab.